Is a surgical procedure in which the damaged cartilage is removed from the hip bones, and is replaced by an artificial joint. A healthy hip looks like a mortar and pestle. The Femoral head enters the Acetabulum, and together they form the hip joint. 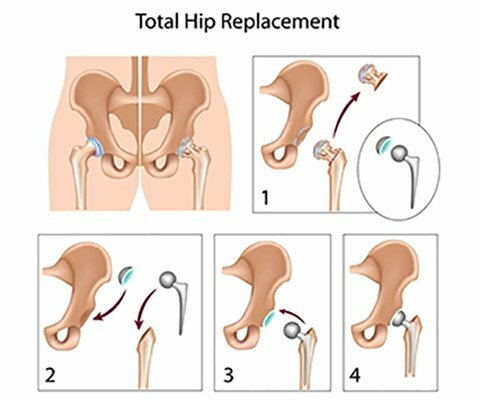 Hip replacement surgery is one of the most common, and most successful, orthopedic surgeries, in existence today. Who is a candidate for the surgery? 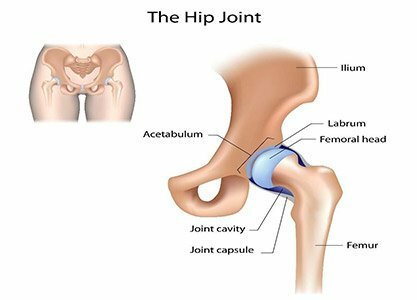 The surgery is generally performed on people with advanced disease of the hip joint, which causes wide-spread damage to its cartilage surfaces. 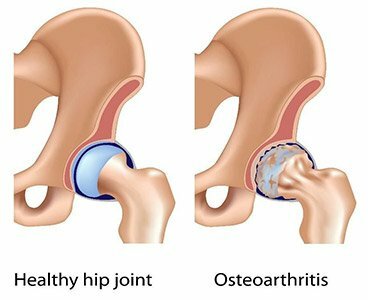 The foremost reason for this situation is a disease called osteoarthrosis (also known as osteoarthritis). The disease becomes more widespread as age advances, and can be expressed in a joint, damaged since birth, as a result of trauma to the joint, a rheumatic disease or necrosis of the femoral head. What could be the reasons for surgery? What is the surgical approach to the joint? The direct anterior approach (DAA) is a new approach, which speeds up the recuperation, and saves the patient many restrictions after the surgery, which would be the case in surgery with a more traditional approach. The principal difference between the traditional approaches to hip replacement surgery, and the new anterior approach, is that with the anterior approach there is no need to detach the muscles around the hip joint, in order to replace it. The new surgical method causes less trauma to the body. The muscular cover surrounding the hip joint is maintained, and so, after the implanting of the artificial joint, we receive a more stable joint than with more traditional approaches. Furthermore, the fact that the surgery takes place while the patient is lying on his back, allows the surgical team, throughout the whole surgery, to assess the length of the legs, and so, significantly decrease the need to raise the shorter lag. With the patient lying in a supine position (on his back), an incision is made 8 – 12 cm long in the front part of the hip. There is no cutting, or detachment, or splitting of the muscles; less damage to soft tissue. There is less limping in the period after surgery. The joint is more stable, and so there is no need for special restrictions, such as a cushion between the legs, sitting on a low chair, elevation of the toilet, travelling home by ambulance, cushion between the legs, etc. Better control over the length of the legs, so that there is no inequality in the length of the legs at the end of the surgery. The structure of the artificial implant greatly reminds one of the natural joint. In most surgery, we shall use implants with no cement (bone cement). The implants that we use are among the best of their type in the world. Made from titanium, they placed into the bone, and become the “go-between” between the bone and the gliding surface. The outer section of the titanium is built from a layer of tiny pores, which come into close contact with the bone, and so allow the growth of the bone into the implant, and its transformation into an integral part of the bone. The gliding surfaces are built from a ceramic head instead of a polyethylene polymer. In some instances, a ceramic gliding surface can be used instead of a ceramic cup.